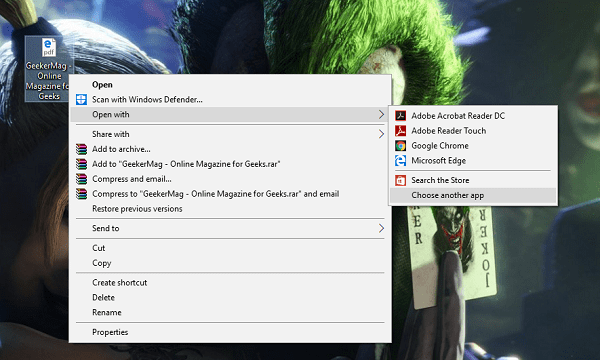 In Windows 10, the Microsoft has changed lots of things, and one thing out of them is changing defaults apps for opening different files which include multimedia files, text files, and more. Edge is the default web browser for Windows 10, and apart from it, it is also a default PDF viewer app. 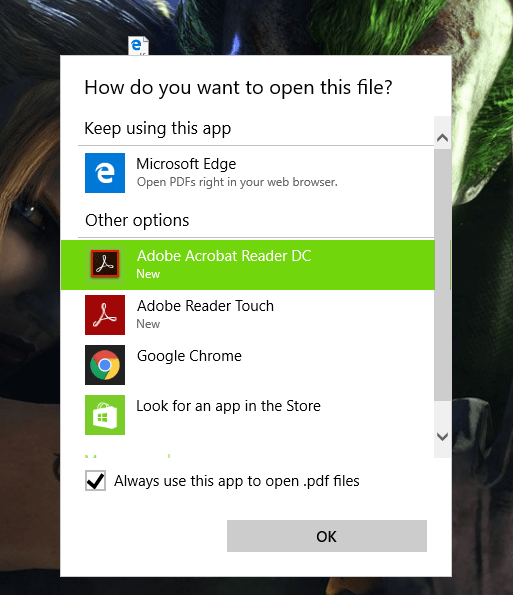 Windows 10 users are happy to use Edge as a browser, but they’re not glad to see Edge as a PDF viewer app and wants to make Adobe Acrobat default windows 10 pdf viewer. But users don’t know how to make that thing happen. 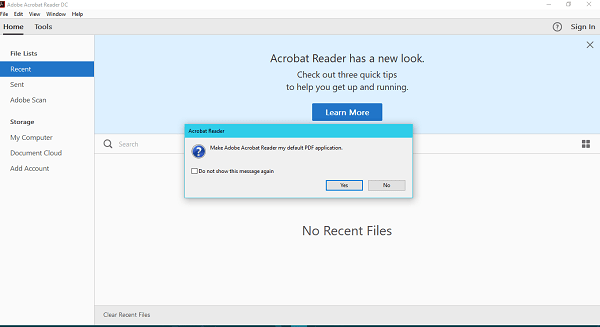 Majority of the users prefer to use Adobe Acrobat reader a pdf viewer as it offers various customization features in comparison of Microsoft Edge. Even one of the regular reader of my site sent me a question i.e. 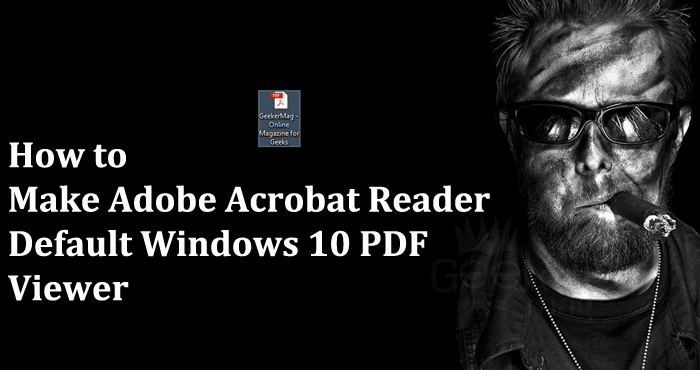 I have installed Windows 10 and now I want to make Adobe Acrobat default Windows 10 PDF reader application. Finding this question to be interested I decided to write this post so that every user who wants to change default Windows 10 pdf viewer know how to do that. 1. Download Adobe Acrobat Reader DC from official and install it on your computer. If not installed already. 2. Open the application and wait for few seconds. The dialogue box will appear with a message which reads “Make Adobe Acrobat Reader my default PDF application.” Just click on the Yes button. And you’re done. If this method fails for you, then you can try the second method. 1. Head over the to PDF file which you want to open. In case, it is showing Edge icon written PDF on it then it is confirmed the default PDF viewer is Edge browser. 3. To change default pdf viewer you need to the select Open with -> Choose another app. Note: In case, you want to open pdf file just for one time, then instead of selecting open with on context menu, you can select Adobe Acrobat reader. This will open the file in Adobe Reader. Note: If you don’t check mark this open, then for this time the file will be opened in Adobe reader, but the edge browser will remain default PDF viewer. 1. Launch Settings app. You can do that by pressing WIN + I keyboard keys. 2. Navigate to Apps -> Default Apps. 3. 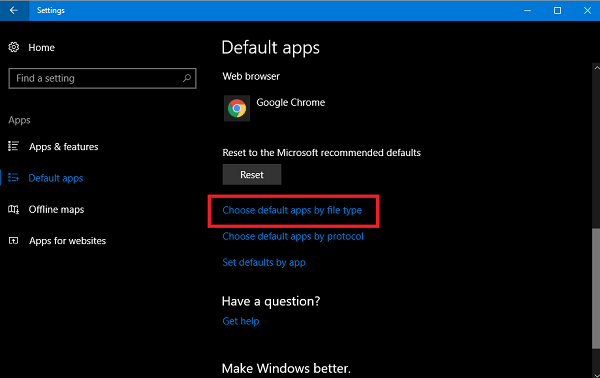 On the right side, scroll down until you see a link which reads “Choose default apps by file type.” Just click on it. 4. In the next window, you will get a complete list of different file types; you need to scroll down until .pdf file appear. In the screenshot, you can see that Edge is a default pdf viewer. To change click on it and from context menu click on Adobe Acrobat Reader DC. That’s it! This will make Adobe Acrobat default Windows 10 pdf viewer. I hope you find the answer to the question, i.e., How to make Adobe Acrobat default Windows 10 pdf viewer. In case, you have any query drop it in the comments. 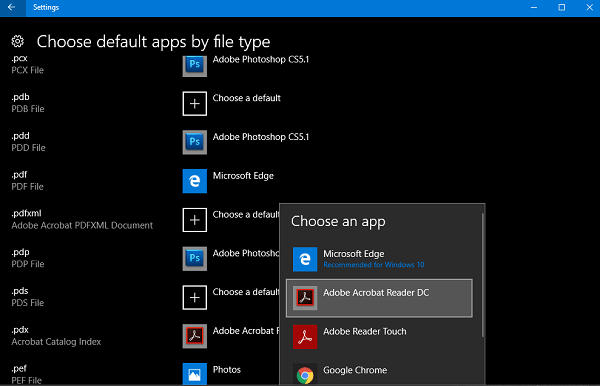 Thank you SO much for your help in changing from Edge to Adobe Acrobat as my default pdf application. It’s been driving me crazy. MUCH APPRECIATED.